Air Force Master Sgt. 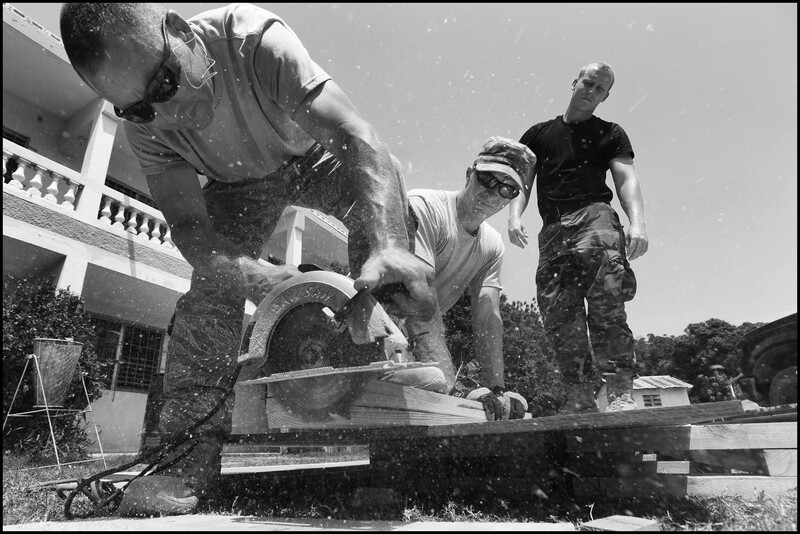 Richard Goodwin, left, with the 118th Civil Engineering Squadron, cuts lumber while working on various construction projects at the New Life Children's Home in Port au Prince, Haiti. Members of the squadron have been working on humanitarian assistance projects at the home, a local orphanage that was damaged in the January 2010 earthquake.